The University of Bristol is ranked among the world’s leading research-intensive universities, with a successful track record of translating scientific discoveries into real-world advances. Wherever possible, our research relies on computer models, human volunteers or cells grown in the laboratory. However, these methods are not suitable in every instance. That’s why, when absolutely necessary, we also support the principle of using animals in research in order to advance our understanding of health and disease and improve the lives of both animals and humans. We are committed to a ‘culture of care’ where animals are treated with compassion and respect. Ensuring a high standard of animal welfare is not only good for the animal, it improves the quality of our science and ultimately the lives of the people and animals that stand to benefit from our research. All of our research involving animals is ethically reviewed, carefully regulated and adheres to our policy on working with animals. All of our scientists and technicians who work with animals receive specialist training to ensure that their work adheres to best practice in animal welfare and complies with relevant legislation. They are also actively involved in the 3Rs (replacing animals with non-animal alternatives, reducing the numbers of animals used and refining techniques that involve animals). Our animals are transported, housed (in custom-made facilities) and cared for by dedicated animal technicians and veterinary surgeons who are passionate about their work and trained to carry out their duties in a responsible and humane manner. We are committed to open and ongoing dialogue with the public about how and why animals are used in research. 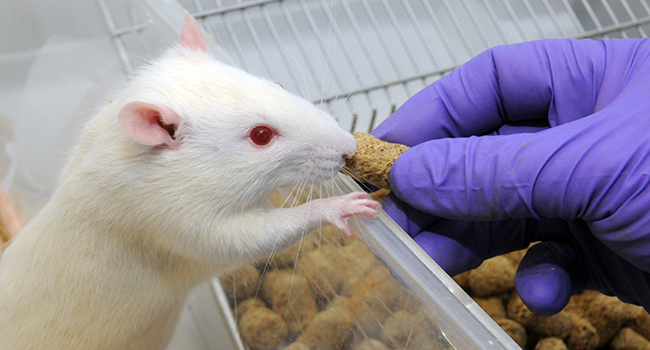 The University of Bristol, along with higher education institutions, bio-industry companies, charities and research councils, has signed the Concordat on Openness in Animal Research. This informs our standards and governance and is our pledge of working towards a more transparent and engaged approach to animal research.